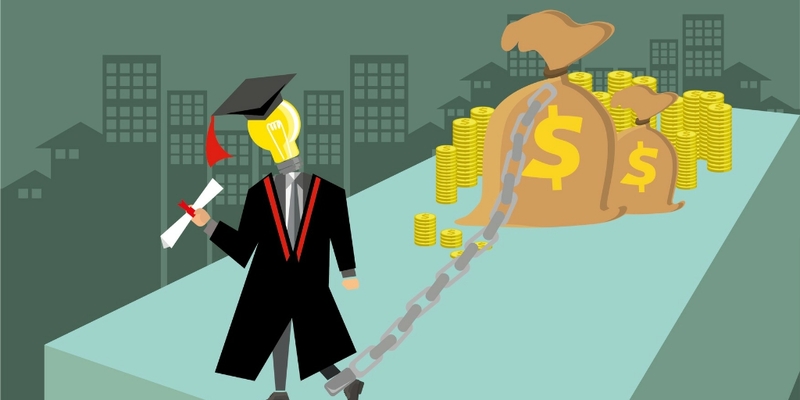 Student loans are one of those things that nearly everyone needs, but very few want. Unfortunately, finding student loans is a necessary part of pursuing higher education for many lower and middle class American families. If you are a parent with a child in high school, you would be wise to learn about the recent student loan rates changes. They may wind up causing you to owe more money to student lenders in the end. Find out all about those student loan rate changes and how they impact college loan-seekers below. Federal student loan rates are no longer as low as they used to be. Now, low interest rates for federal student loans have experienced an increase. The interest rate on all student loans from the federal government went up by almost one whole percent. This is obviously bad news for loan seekers like you. It will wind up costing you more money in the long run. Unfortunately, these new loan rates are already in effect and will be for the foreseeable future. Keep that in mind when searching for student loan solutions for your son or daughter. These rate increases mean that Stafford loan rates are higher than they were previously. Stafford student loans will incur a 4.45% interest rate in the coming months and years. This is almost a full point increase from the previous 3.76% rate. Stafford loans are offered to undergraduate students in particular. That is why you would be wise to familiarize yourself with these student loan rates. It will help you prepare your son or daughter to take on this very important and very adult financial responsibility. Parent loans from the federal government, called PLUS loans, also experienced a rate increase. The PLUS loan interest rate hike made the previously high interest rate loans even more cumbersome for parents like you. Previously, parent loan seekers could expect to pay 6.31% loan interest rates. Now, parent PLUS loans will incur 7% interest rates. This could cost you hundreds or even thousands of dollars extra over the course of a ten year loan repayment period. These rates are even higher than those incurred for some types of private business debt. Clearly, that should have some impact on your financial decisions regarding college. In the coming years, student loan interest rates may continue to rise. This is important information for parents of high-school aged children who are soon to be looking to apply for college and later apply for private student loans. Throughout the years your college student is in school, you want to pay close attention to the student loan rates fluctuations. In the end, these minor fluctuations could have a huge impact on your overall repayment amounts. It would be smart to make sure that you encourage your son or daughter to take note of these changes as well. This way, everyone is in the best position to achieve financial health and freedom as soon as possible post-grad. You need to be able to calculate student loan interest rates. This is the only way you can truly maintain control of your money. That way, you know where your money is going and when. Interest accrual each month can be calculated using a simple calculation. Multiply your outstanding loan balance by the amount of days since your last payment. Then, multiply that by the interest rate factor. That will help you, and your son or daughter, identify the amount of interest you accrued that month. Use this student loan interest rate formula to help your child make smart financial decisions for a lifetime of great money management skills. If you are a parent, student loans are as much your problem as they are for your young college-aged child. Your money will soon be going towards parent PLUS loan payments. That is why you certainly want to stay in-the-loop regarding the current student loan interest rate hikes and subsequent ones as well. Also, you should stay alert of any refinancing student loan opportunities in the long run. Doing so will help you make the best financial decisions for your and your son or daughter’s future financial health. Use the student loan rates facts detailed above to help you do just that.